State Library Victoria – 118 years young, but who’s counting……. 118 years young, but who’s counting……. 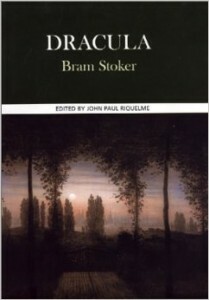 Bram Stoker’s classic novel of malevolence can take you by surprise if you only know the story through the myriad film and stage presentations that have been made since it first appeared in May 1897. Told in an extraordinarily complex series of letters, diary entries and newspaper accounts, its plot unfolds like some strange, horrifying nightmare, all held together by the varying perspectives of its different narrators. If you think you know the story of Dracula, think again. This wonderful set of American radio broadcasts from the 1930s and 40s has an astonishing cast of some of the great voices of the 20th century; Orson Welles, Boris Karloff, Bela Lugosi, John Carradine and Agnes Moorehead to name just a few. Interestingly despite the presence of that most famous of all Draculas, Bela Lugosi, the performance here actually stars Orson Welles and members of his famous Mercury Theatre Company. 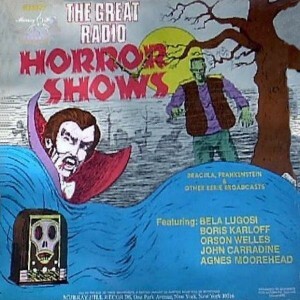 Theatrical presentations on radio were one of the jewels in the crown of the golden days of radio, and these performances hold up remarkably well all these years later. 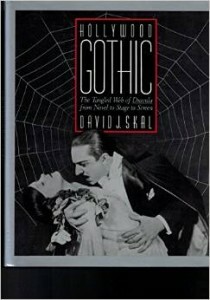 David J.Skal is one of the finest historians and writers on horror cinema, as evidenced by his marvellous book The Monster Show: a Cultural History of Horror, and here he concentrates his attention on Dracula and its controversial journey from novel to stage to screen. He provides fascinating detail on the various theatrical incarnations of the novel before forensically examining its controversial path to Hollywood via F.W.Murnau’s classic German film Nosferatu. Understandably much of the book focuses on the much maligned 1931 film by Tod Browning, which launched Hungarian actor Bela Lugosi into a fame from which he was never able to escape. His equally in-depth discussion of the highly regarded Spanish language film made at the same time, on the same sets but with a completely different cast and creative crew is really fascinating, and makes one long to see both films side by side. If film is ultimately the perfect medium for translating Stoker’s nightmarish vision into something more corporeal, then the music accompanying it also needs to tell a story that swerves from high drama to gothic horror to dangerous romance. 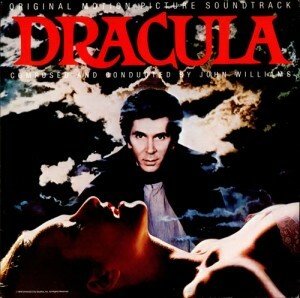 In 1979 John Badham directed this surprisingly stylish version of the story starring Frank Langella as a suavely sophisticated Count and Laurence Olivier as his nemesis Professor van Helsing. The music was given to none other than John Williams who provided the film with a typically lush symphonic score that broods and sweeps and chills in equal measure, making one wonder why it was never turned into an opera by one of those overwrought post-Wagnerians. 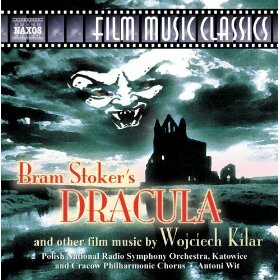 Thanks to the online Naxos Music Library you can listen to a very different musical realisation of the story with Wojciech Kilar’s dark score for Francis Ford Coppola’s 1992 film, Bram Stoker’s Dracula, which features an utterly astonishing performance by Gary Oldman in the title role.